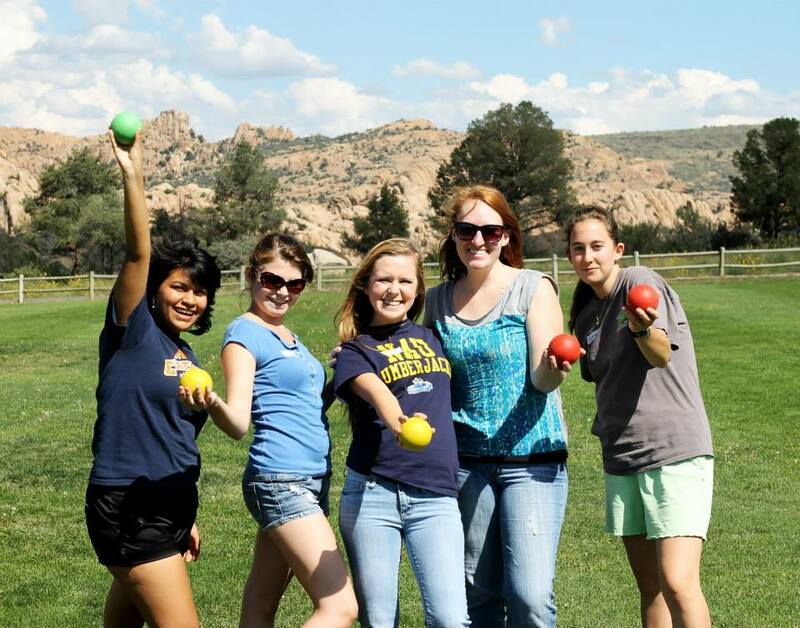 We had a fun Fall Retreat this year down in Prescott, AZ, at a wonderful Church that allowed us to use their facilities. We had 23 students attend with our family and our guest speaker, Dave Goffeney (a former Cru staff who is church planting in Tucson). We were all blessed by the time, and saw many of the new students really connect well for the first time (since several of them had only been to a few of our activities before). We had a lot of fun time (ping pong, interactive group games, soccer and hanging out at a local park, chatting and eating candy—always fun at a retreat). The content was encouraging and challenging too—Dave spoke on “Becoming what God intended” and focused on where our identity and purpose in life are centered, and how God wants us to shift those to bring him glory and bring us satisfaction. We also had amazing times of worship, entering before the throne together. The worship was even better because we were responding in our hearts to the truth that Dave had brought us to and that we were able to personalize in our discussion groups. We are hopeful that students will continue to think about how to place their identity in the Lord above all else, and experience the true freedom and joy that comes from that. We also pray that they will continue to grow in sharing what they are learning and what they believe with others. We have an opportunity this coming week to do so with our “Think: what’s your perspective” outreach. It is like ones we have done in the past, and is student-led. Our student leaders led the training time and are excited to head up the tabling and encouraging of one another to talk to friends while we are all wearing the green “Think” t-shirts together. Please pray for God to move in and through FlagCru students this week! I wanted to give those of you interested a brief update on some of the things I have been doing on the legal side. I have been very busy trying to juggle many responsibilities there, while also helping Jeremiah to launch the ministry this year at NAU. One big task has been helping each of our contextualized ministries within the Campus Ministry draft up and finalize model constitutions. 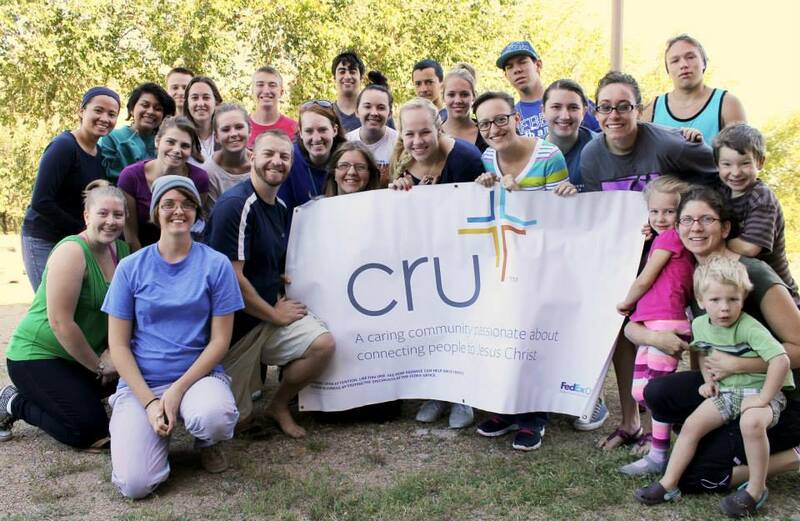 We want to ensure that our purposes are clear within all of our Cru ministries, to make sure that all of our Chapters are pursuing the mission we have been called to. Along with that, we are seeking to streamline a more formal Chartering process for all of our Chapters–both staff, volunteer, and student-led–around the country. We require that each Chapter agrees to pursue Cru’s mission and uphold our statement of faith, in order to preserve the integrity of Cru at all levels. It has been exciting to interact with the national leadership in each ministry, and I am so thankful to be part of a ministry where each leader is pursuing the Lord so wholeheartedly and with humility. The California State University system began strictly applying their nondiscrimination policy to leadership selection in the last year or so. This means that they are prohibiting us from using religious criteria in the selection of our student leadership if we want to have registered student clubs on Cal State campuses. Yet we believe it is crucial in order to preserve our message and mission as Cru (which is, of course, religious in nature), that we have students leading our groups who actually believe in that mission and are following Jesus as they encourage others to get to know and follow Him. We have partnered with InterVarsity in pursuing dialogue with the Chancellor of the Cal State system, seeking understanding and a solution that might address our religious liberty concerns that the policy raises. The Chancellor has granted religious groups such as ours a one year reprieve from the strict application of the policy to give us time to work toward language that might address some of our concerns while still satisfying the university’s desire to create an inclusive environment. This reprieve allows us to focus on our mission with strongly aligned student leaders, while having an open membership policy, as we have done for decades all over the United States. Nevertheless, it is a temporary reprieve, and the California State Universities continue to assert that no group should use religious criteria in the selection of student leaders. Please pray that we can find a way forward with the Cal State system as we work with the Chancellor, InterVarsity, and several other religious groups. Thank you for praying, and for being part of this ministry work with us. Transition. Confusion. Loneliness. Excitement. Stress. Hope. New Friendships. These are some of the things new students here at NAU are experiencing in these first couple weeks on campus. We have had the joy of meeting many new students and inviting them to come find community and support within Cru. We are seeking to welcome and care for new students, and also to have the opportunity to share the hope we have in Christ with them. Jeremiah saw one young man decide to follow Christ after truly understanding the gospel for the first time. It is such a joy to see that “aha” moment and the excitement that follows it. We have had a couple great first weekly meetings and several fun socials. Even during Labor Day weekend, we had a great turnout for a game night. And this past weekend we had mens’ and womens’ nights, where we were encouraged by the bonding we saw. I had 18 girls over at the house, and everyone seemed to enjoy chatting over snacks, pazookies, and making flower hair clips and lotion bars. I am excited to get to know many of these women better. 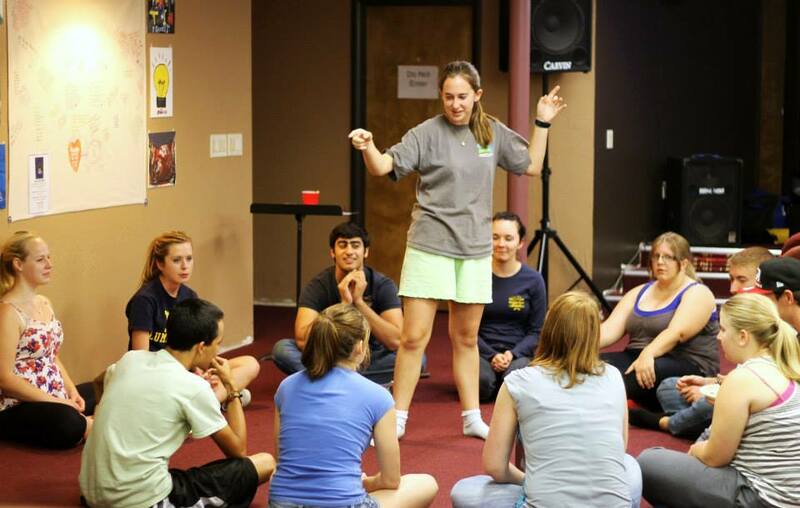 I know that some of them are having a hard time with the transition away from home, but I am praying that Cru can be the welcoming, genuine community that they need to keep going, and that through it, they will be encouraged to trust in and pursue the Lord in the midst of all the transition involved in starting college. It has also been fun to see a number of transfer students get involved. Jeremiah has been able to start an upperclassmen mens’ small group (in addition to our dorm small groups) with some of our guys from last year and several new transfer men who are excited to grow and serve. They are wanting to be challenged and shown what it looks like to be a man of God. In addition, several of our students from last year are stepping up to serve and help meet the needs we have to run the movement this year. We pray that the Lord would continue to develop them in powerful ways this year, so they can become more like Him and experience the joy that only comes from living out their faith and pursuing God’s purposes. God’s plan is good, and we are seeking Him as we pray for these new students and eagerly wait to see what He will do in their lives.